As a logistic company that prides itself on precision and bullet-speed deliveries, Billy, the Roadbull bot answers to customer change requests with speeds and accuracies that exceeds customers’ expectations, because they are processed immediately! Using APIs, Billy is able to retrieve the status of a order at any point in time with no lag time to update the customer, providing them with a peace of mind. Customer requests that came in day in day out were repetitive in nature; with Billy, Roadbull is able to automate these workflows and significantly reduce the workload of the customer support team. Billy is able to take these requests and process the changes immediately, increasing customer service levels and subsequently customer satisfaction. Billy is also able to handle multiple customer requests simultaneously, allowing more customers to be served. Picking a use case, fitting it in your strategy, building & launching your chatbot, and more! We've done it, and we're sharing it with you. Learn from our experiences in building chatbots, and figure out how to think about deploying your very own chatbot today. Get the ebook link right in your inbox! You'll be on your way to business success you've never even dreamt of. 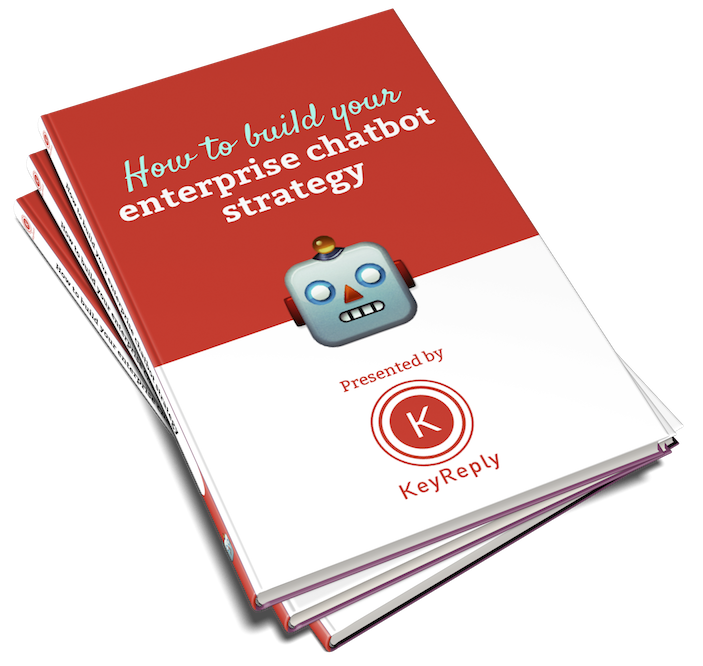 KeyReply is a AI company that specializes in virtual assistants and chat automation for enterprises to engage both internal and external customers. Our chatbots can be deployed on platforms like Facebook Messenger, website, SMS, mobile apps and more. We are also partners with leading tech giants such as Facebook, IBM and Cisco.